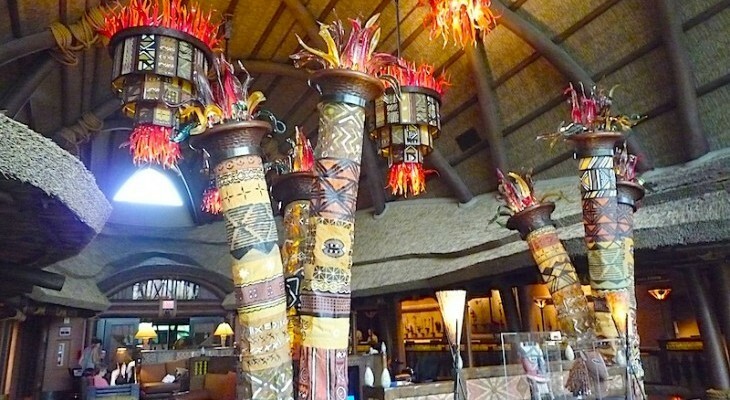 As at the next-door Animal Kingdom Lodge, this Disney Vacation Club property has the advantage of a savanna teeming with wildlife along with roomy and distinctive villas. The sound of the jungle greets you at every turn as you walk the pathways amidst lush, exotic greenery. 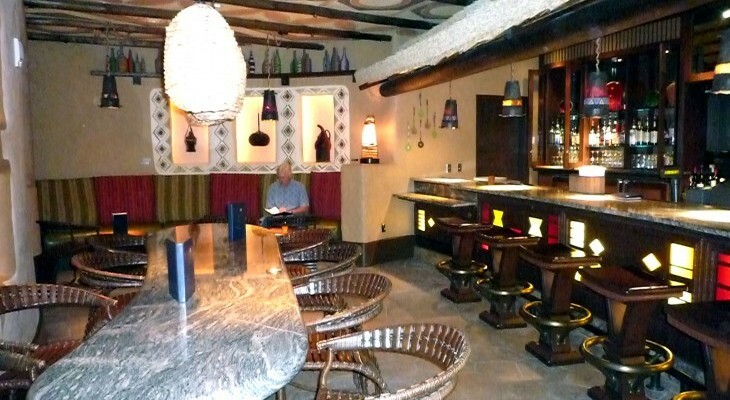 An attractive two-story lobby area with African rustic chic seating, hardwood flooring, and tribal rugs sports a delightful thatched ceiling. 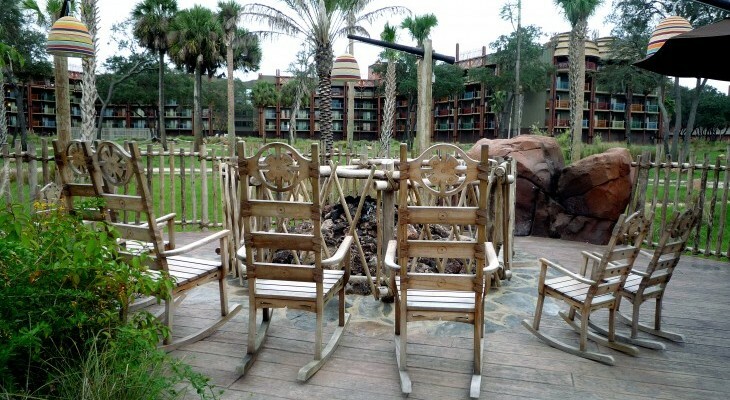 Scattered here and there throughout the resort are superb viewing areas with rockers, perfect for those guests without a savanna view. 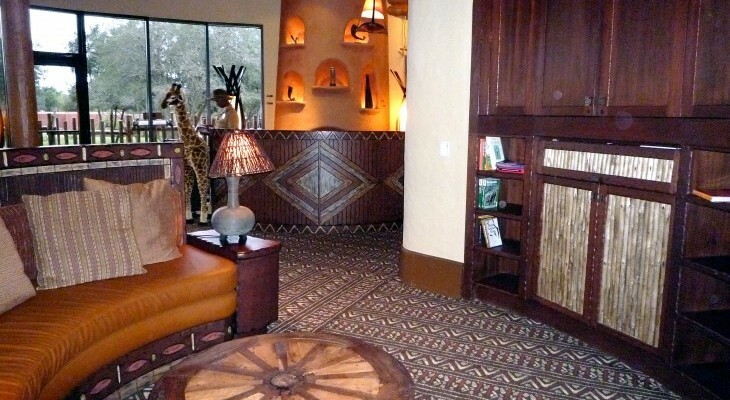 Off the lobby The Library offers a restful sitting room with a fireplace as well as a balcony with savanna views. 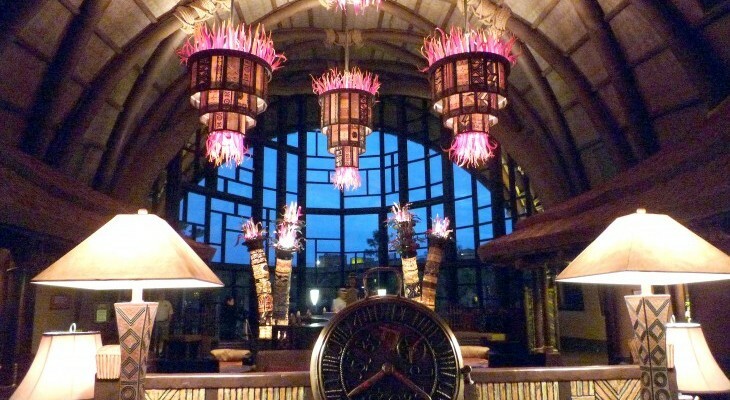 Although the villas offer a table-service restaurant, feature pool, fitness center, and water play area, guests are also entitled to all privileges of Disney's Animal Kingdom Lodge next door including the pool, playground, and childcare with a 10-minute walk between the two. 492 units. 3701 Osceola Parkway, Bay Lake, FL 32830; phone (407) 938–3000, fax (407) 938–4799. 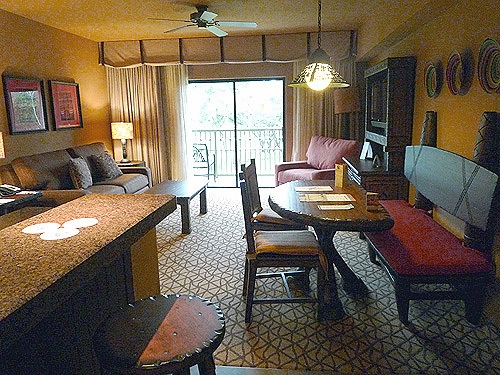 Check-in 4:00 p.m., Check-out 11:00 a.m.
A cozier feel than the lobby at the next-door Animal Kingdom Lodge. Dimly lit in the evenings, it's a nice place to relax after dinner. The Library offers a restful sitting room with a fireplace, a balcony, and savanna views. A great place from which to watch the animals on the savanna. I love this tiny bar where there are great appetizers and a nice wine selection. 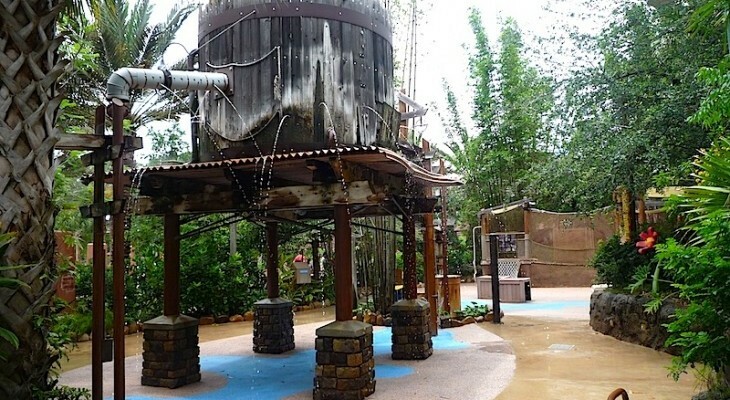 Adjoining the pool is this super-fun interactive water play area for children (watch out for the spitting African masks!). 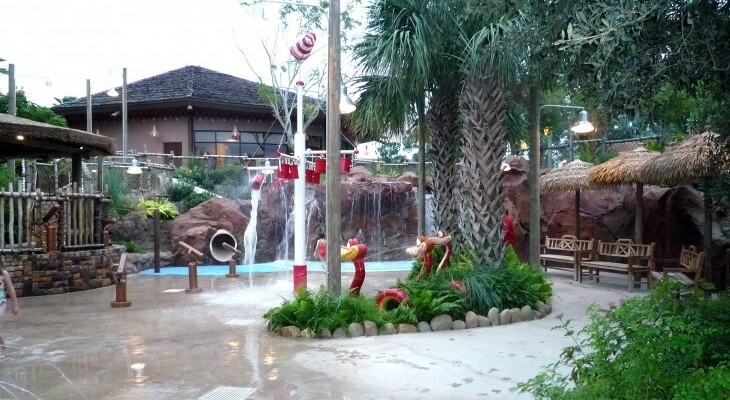 Yet another area of this fun water play spot. 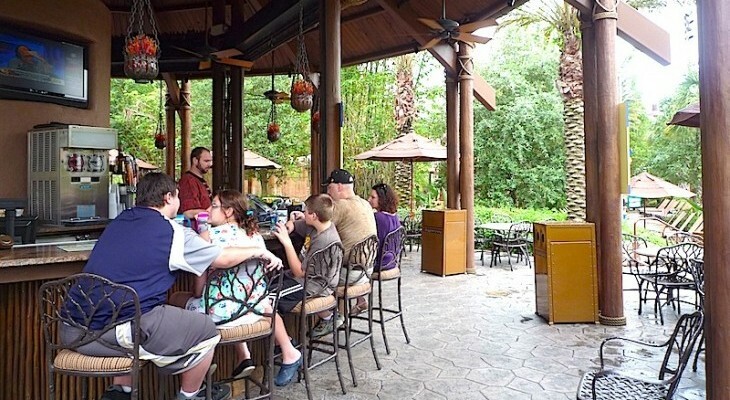 One of Disney's best pool bars, it sits overlooking a bird sanctuary. Two-story windows overlook the resort's savanna. Two identical guest bedrooms flank the TV loft each with their own bath. The perfect place for the kids to hang out. The tub surround comes with an African sunset mural. The adjoining kitchen is small but adequate. The villa’s balcony is accessed from both the living area and master bedroom. The separate shower and bath are a nice luxury. 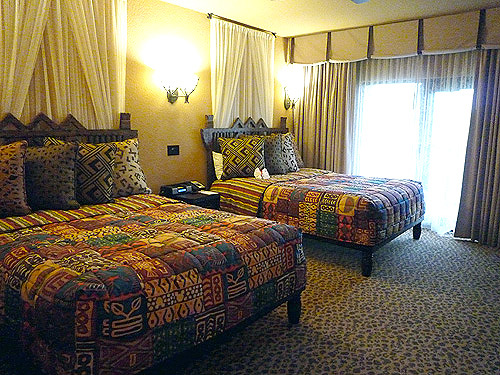 Villas here are atmospheric and very similar to the Jambo House next door where you’ll discover handcarved furnishings, tile entries, ostrich egg lamps, mural-decorated tub surrounds, chocolate brown granite countertops, animal print carpeting, khaki curtains with leather strapping, a Lion King theme, and a chocolate and persimmon-colored décor with African textile touches. 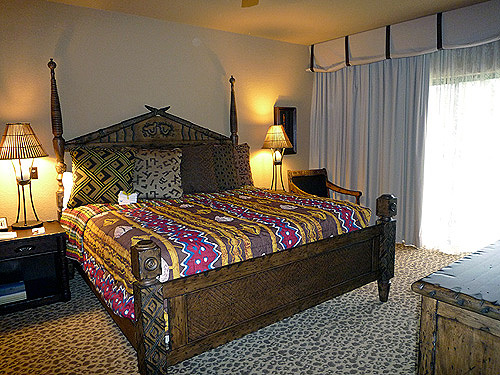 Headboards are made of carved, dark wood with white sheeting and an African print textile runner. Every bedroom has its own TV, DVD player, and iPOD docking station clock radio. And each unit has a laptop-size electronic safe, vacuum, iron and ironing board, and Pack ‘n’ Play. Studios, sleeping up to four in 316 square feet, offer a queen-size bed accompanied by a sleeper sofa, table and two chairs, and bureau with built-in flat-screen TV. There are two closets, one of which is a carved wood armoire. 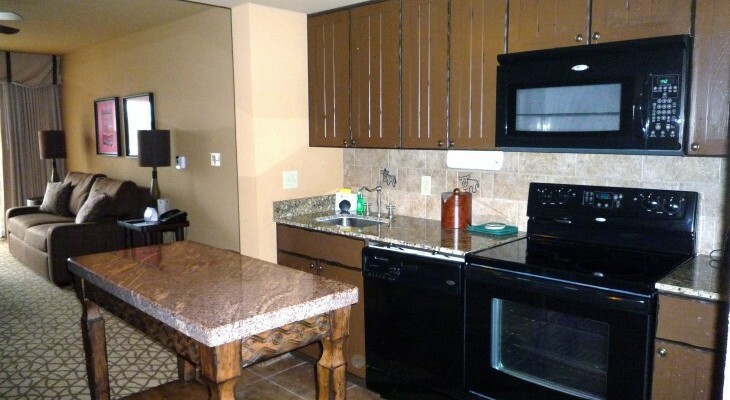 You’ll also find a mini-kitchen with sink, undercounter refrigerator, microwave, toaster, and coffeemaker. 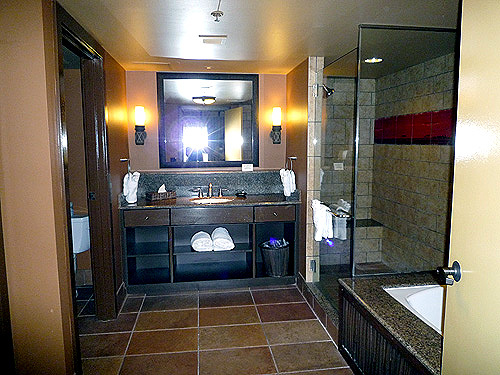 Baths have a single sink granite vanity (no makeup mirror), a tub/shower combination, and separate commode area. All have a balcony with varying views. One-Bedroom Villas sleep five in 710 square feet. 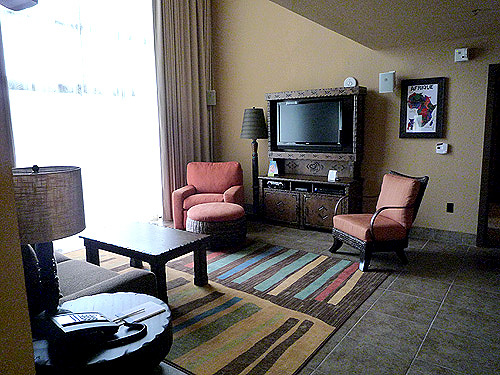 The living room has a chocolate brown sleeper sofa as well as a persimmon-colored sleeper chair and a flat-screen TV. The small granite kitchen comes with a two-seat dining bar, coffeemaker, dinnerware, glassware, flatware, pots and pans, microwave, toaster, stove, refrigerator, and dishwasher. A laundry closet contains a stacked washer and dryer, and in the entry is an additional full bath. The master bedroom suite is comfortable with its king-size bed, ostrich egg lamps, desk, and bureau with flat-screen TV. 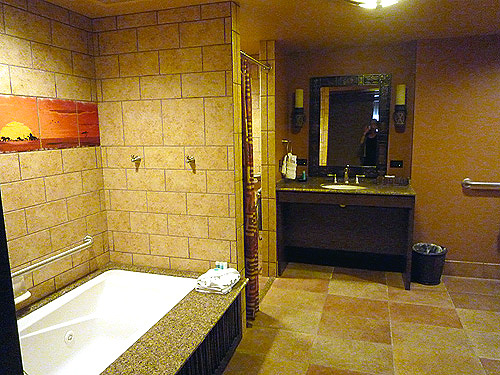 In the adjoining terra cotta bath is a whirlpool tub, large shower, single sink, and separate commode area. A balcony is accessed from both the living area and master bedroom. Sixteen Grand Villas sleep up to twelve people in 2,201 square feet with most offering spectacular views (try and avoid those located at the very end of the property where views are not quite up to par with those located in the central resort). Three bedrooms and four baths are on two levels with the kitchen, dining area, living room, master bedroom, and extra bath on the first floor, and two bedrooms, two baths, and a TV room on the second floor (entry doors are found on both floors). The kitchen is open to the adjoining six-person dining table and buffet. The soaring two-story living area has tile flooring, colorful rug, sleeper sofa, sleeper chair, easy chair, and entertainment center with TV and stereo system. A balcony extends the length of the bottom floor. A master with king bed, similar to the one found in the standard villas, is just off the living area; single sink, whirlpool tub, and extra TV in the bath. Climb the kraal fence stairwell to the second floor where two identical bedrooms, each with two queen beds and a balcony, flank the loft with its sleeper sofa. A full-size laundry room is downstairs. Cara's Tip: Standard villas offer a view of the front of the resort or the pool, but might also face the valet area with a constant stream of buses and cars passing by your room balcony at all hours of the day and night. 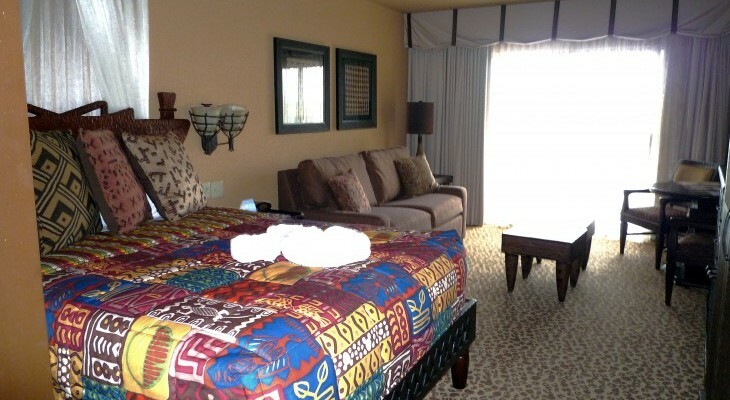 From the savanna view villas you will also have a view of the next-door Animal Kingdom Lodge. 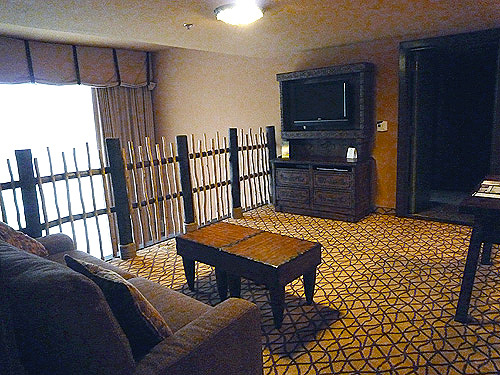 A lobby level villa (floor two) comes with up-close-and-personal savanna views so think about requesting one.